Firstly, let me start this blog post by letting everyone know that my dress is infact baby pink and not white, despite what the photos my show. Unfortunately i couldn't get a good enough shot to show the actual colour properly. Forgive me! Anyways, the dress is one of my go-to dresses when i'm feeling uncertain on what to wear, and want to still look smart, but feel comfortable. Considering it's quite a flowy dress, it's really easy to wear, and i don't feel too self concious in it because it's not figure hugging. I wanted to smarten the outfit up a bit, as i felt too cutesy in just the dress, so i added a faux pearl necklace, which i think gives the outfit a touch of class. 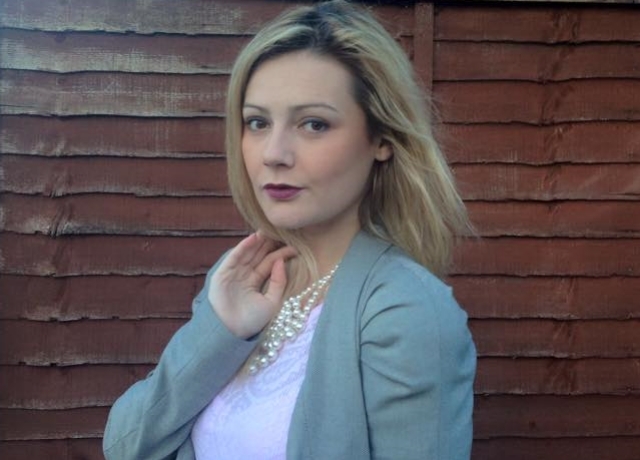 I love pearls, i think they have such a upper class feel about them. I decided to wear this waterfall blazer which i've had hanging in my wardrobe for a while. I really love the waterfall effect, something i hadn't seen on a blazer before till i saw this, and i knew i had to have it. I got it for such a bargain too considering i found it in mint condition in a Charity Shop!! 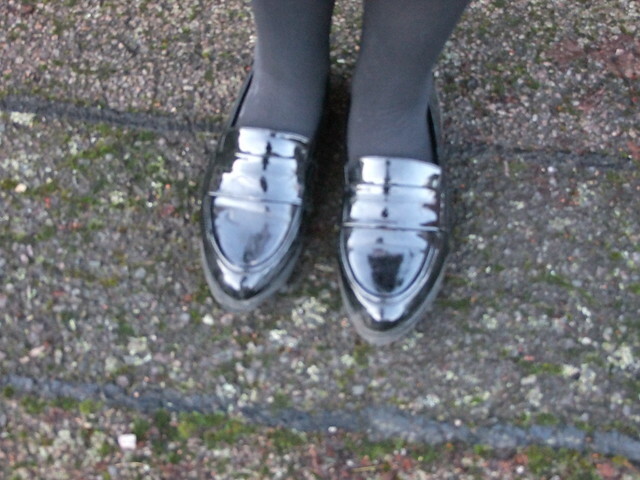 I'm wearing my trusty loafers to complete the outfit aswell as tights, because well, it's just too cold to be prancing around without them on!